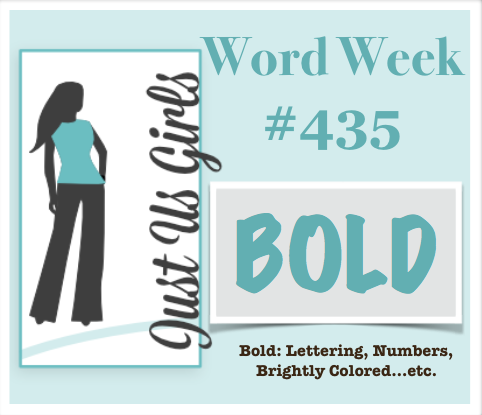 Hello Everyone, Today over at Just Us Girls our Word is BOLD! The card I have for you today is a card I made for Christmas last year that I loved, but never posted. I thought the bold poinsettia would work perfectly! The die is from Heartfelt creations, the EF is ??? and the sentiment is from Verve. Some gold stickles and I was done. Very quick card! I also curled the petals and leaves to give it more of a realistic vibe. Please come on over to Just Us Girls and help me welcome our newest Guest Designer Karren from Stamping Stuff. Karren is such a terrific card maker that I have been admiring for years and I am certain you will recognize her blog as soon as you get there. Karen we are so very happy to have you with us this month! While you are over at JUGS, check out the rest of the team’s cards and show us how you interpret BOLD! Categories: Cards | Tags: Card making, Cards, Christmas cards, Heartfelt Creations, rubber stamps, stamping | Permalink. Beautiful card. Love that bold poinsettia, it is very pretty. So very gorgeous….love the colors and gold. Your card just popped off the blog page, Nancy, and I had a big Wow! escape from my lips. The color and design are gorgeous. Oh my, this is simply stunning. I love the Stickles edging, it really does make those beautiful flowers POP!!! Wonderful design too, I just love this!! Your bright, red poinsettia looks great against the snowy background. I think your EF is a Cuttlebug folder. It looks like one I have. Beautiful card! Really bold flower and I just love it on your card. Made me smile! Thanks so much for your sweet words of welcome, Nancy, Right back atcha! And this card is glorious in its beauty – that big, bold poinsettia is such a wonderful statement and the textured background adds just the right amount of interest. Oh my that bold poinsettia against the white embossed background is amazing! GORGEOUS! No matter what time of year it is when I see a poinsettia I just love it. Love your ‘very old’ embossing folder in the background. It’s a keeper. Yes it is a Cuttlebug one. Your poinsettia is truly gorgeously bold bright and beautiful Nancy. GASP! Your poinsettia is gorgeous, in vibrant red and green, with whispers of lovely gold! The embossed background: perfect! I’m swooning over this piece of loveliness! Thank you soooo much for the sweet, glowing comment about my niece’s card; she’ll be over-the-moon thrilled when I call and share it with her! Nancy, your bold poinsettia is absolutely gorgeous with the gold and red. Beautiful card, my friend. This is stunning! That poinsettia is absolutely gorgeous with the sparkly details on this beautiful, bold design!